You’ve successfully avoided Skynet by retreating to the tunnels. Somewhere, in the safe zone, the Cubs are defending their World Series title. These are unsettling times, to be sure. But there is one thing you can still depend on: your midday meal. 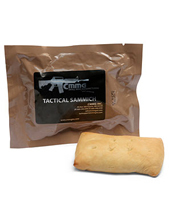 Introducing CMMG Tactical Sammiches, a prepackaged bit of meaty curiosity with a two-year shelf life, available now. If you’re thinking these sound like Hot Pockets for the apocalypse, we’re here to tell you that... well, you’re right. They come via the good people at CMMG, who’ve made the oddly seamless expansion from assault rifle and ammo manufacturing to sandwich making. 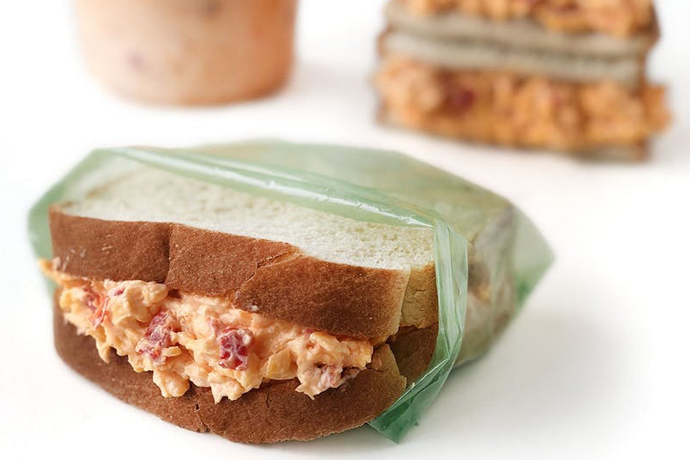 Your sammiches will arrive in sealed packs, fully cooked and filled with pepperoni or honey BBQ beef, surrounded by a pouch of fluffy (and extremely well-preserved) bread. You’ll want to order a few dozen for natural disasters, your freelance missions with SEAL Team 6 and those occasions when you’re trapped in a vegetarian restaurant. (Dating Olivia Wilde has its drawbacks.) We should also note that each of these sandwiches comes in at less than 300 calories. Hey, the end of the world is no excuse to let yourself go.